Basing his study on the New Testament, David Pawson advocates a synthesis of the ‘liberal’ emphasis on repentance, the ‘evangelical’ on faith, the ‘sacramental’ on baptism and the ‘pentecostal’ on the Spirit. 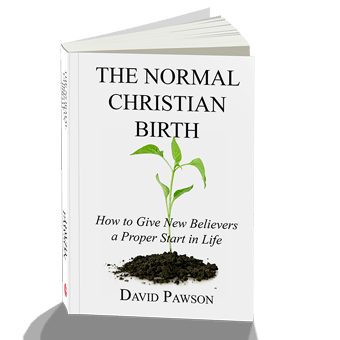 Click here for a sample of The Normal Christian Birth. Phenomenal book! I highly recomend this book to both new Christians and long time Christians as well. David Pawson goes into the details so often neglected by the church in explaining the very important foundations of our Christian life. Every Christian should read this to help gain a better understanding of their own faith as well as to help them to better explain their faith to others. One of those books I’m sure I’ll be reading more than once. 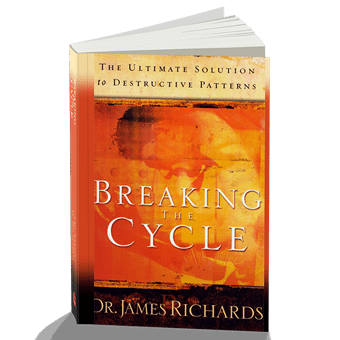 We listened to his series on this and it is so good, I had to buy the book to share with others. I hope to write more, but only after I check the other reviews first, and see if has already been said. Everyone should read this book whether a believer in Christ as the Son of God or not. It explains the necessary progression of repentance, belief, action and acceptance every new Christ follower must experience to be fully alive in the kingdom of God. 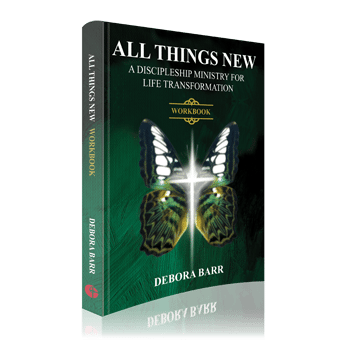 It is critical reading for the new Christian as well as the seasoned Christian. The former will be established in clear understanding of what is involved in entering into life in Christ, and the latter will learn what portion of that process he/she may have missed as well as how to property help a new believer fully enter the kingdom of God. I recommend this book to all who are serious about their faith. David Pawson is one of the best Bible teachers. ‘The Normal Christian Birth’ may prove to be David’s most important teaching contribution to the Body of Messiah. David has a twin burden: the SENTIMENTAL (vs scriptural) nature of modern evangelism, together with the inadequate help given to those who respond. David longs to see this rectified. In TNCB he discusses the need for disciples to practically and PERMANENTLY/CONTINUOUSLY repent FROM sin TOWARD God; to PERMANENTLY/CONTINUOUSLY believe in Yeshua (in the form of PERMANENT/CONTINUOUS trust and obedience); to have been buried and bathed by immersion in water (which is immersion into the DEATH and RESURRECTION of Yeshua: Romans 6:3-4); and to have GENUINELY received the Holy Spirit. 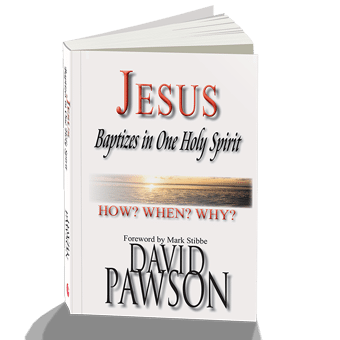 David Pawson was converted around 1947, aged 17, but it was not until 1964 that he understood what it was to RECEIVE and be BAPTISED in the Holy Spirit in a manner consistent with Acts 2:4/8:18/10:44-47/19:6 – he does not want anyone else to have to wait that long. His own inadequate initiation perhaps explains why making sure responders have been PROPERLY evangelized is one of the biggest burdens of his life. This book by David is a TREMENDOUS call to 36 INCH, apostolic and TRULY trinitarian evangelism. Do – do get a copy. If you were only ever going to get one of David’s books, TNCB is the one to get; period.